Read Elie Wiesel’s essay on Jethro in the Bible as it originally appeared in Bible Review, June 1998.—Ed. A good man? Moses’ father-in-law, Jethro, is a devoted family man, well respected for his advice on governing and his benevolent leadership of the tribes of Midian. This early 13th-century illustration from the Bible moralisée depicts Jethro (seated under the arch on the right) rewarding Moses (left) for rescuing his daughters (six of whom are pictured in the center) and their flocks from rival shepherds. Grateful, Jethro invited Moses to stay and break bread with him: “Moses consented to stay with the man, and he gave Moses his daughter Zipporah as wife” (Exodus 2:21). Later, when Moses returns from freeing the Israelites from Egypt, Jethro proclaims the Israelite God’s glory, saying, “Now I know that the Lord is greater than all gods” (Exodus 18:11). But, asks the midrash, was Jethro motivated by love of God or by fear of a divine force so powerful as to rescue the Israelites from their enemies? On first reading the biblical text, Jethro seems a simple person, almost monolithic, someone who impresses us most as a family man. When he meets a young refugee, Moses, whom he believes to be Egyptian, he thinks immediately of his daughter Zipporah, who is not yet married (Exodus 2:20–21). Later, when Moses, who is now Jethro’s son-in-law, returns from Egypt at the head of his freed people, Jethro brings to him his wife, Zipporah, and their two children (Exodus 18:5). Moses has in the meantime become powerful and famous, and Jethro gives him useful advice on how to govern (Exodus 18:17ff). Invited by Moses to join the newly created nation, Jethro gracefully declines by invoking his obligations to his own family and tribe in the land of Midian (Numbers 10:29–30). One can see Jethro clearly: His demeanor is surely elegant, sincere, irreproachable. He is present only when needed. He speaks only when asked. Everything he does, he does without guile. He never thinks of taking advantage of his position as first counselor to the great leader Moses. No one would ever accuse him of nepotism. In the midrashic literature,a as always, the character, or rather the attitude toward the character, seems more complex. To be sure, Jethro is shown in a positive light. After all, if Moses treats him with such deference, such respect, as to kneel before him, Jethro must deserve it. The sages go so far as to exaggerate his virtues. For most, he is considered to have converted to the Jewish faith. They call him Ger shel emet—a genuine convert or a convert to the truth. He is placed “within the shelter or on the wings of the shekhina,” God’s holy presence or glory. They put these words in Jethro’s mouth: “I have served many idols; there is no god I have not served; but none can compare to the God of Israel.” To emphasize his worth, he is compared to Esau. Even though Esau was a kinsman of Jacob, he was less favored than the alien Jethro. Better yet, on at least two occasions in the midrash, Jethro is considered more admirable than Moses himself. In the first, when Jethro offers his daughter Zipporah to Moses, Jethro tells Moses: She will be your wife, but on one condition—your first son will be consecrated to idolatry. The stupefying thing is that Moses accepted! In other words, in this account Jethro appears more loyal to his faith than Moses does to his. Having said all this, even though Jethro has no detractors, he does inspire a certain skepticism in some. Is this a way of balancing our understanding of the man? Perhaps. In the Bible, no one is perfect—neither perfectly good nor absolutely evil. The practical and very timely lesson that our sages draw from this story: When a man comes and asks to be converted, we should not send him away. Translated from French by Anne Renner. “Supporting Roles: Jethro” by Elie Wiesel was originally published in Bible Review, June 1998, and republished in Bible History Daily on March 19, 2014.
a. Midrash is a genre of rabbinic literature that includes nonliteral elaborations of biblical texts. b. The word vayihad is related to the Aramaic chiddudim, “prickles.” One Jewish Bible commentary explains that Jethro was so overcome with joy that he felt goose bumps. The great medieval Jewish commentator Rashi, however, says that despite Jethro’s happiness for the Israelites, he felt prickles of unease over the fate of the Egyptians. Patrick’s comment makes sense to me too. Jethro is a title, meaning: Overflowing (excellency). It denotes one who possesses virtuous qualities, a fitting description of a man who was a priest (chieftain) of a tribe, and who had a reverence for God (see Exodus chapter 18, where, associated with this title, he acknowledges God’s deliverance, seeks to find out more about Him, brings a sacrificial offering with him on his road trip to Moses, praises His name, Yahweh, and offers the sacrifice he brought, eating it with Moses, Aaron, and the elders of Israel). “Reuel” was his proper name, and is indeed the first (designated) mention of him – Exodus 1:18. There is strong evidence that Judges 4:11, regarding Hobab, should be translated “Moses brother-in-law”, because the Hebrew word simply means one who is related by marriage. Moses would not have entreated an 80 year old man, Reuel (one who was in need of the strength and vigor to drive away desert dwelling Bedouins competing for water) to be a scout for Israel. This would be a job for someone possessing the strength of youth, accuity of senses, and Hobab was the man. Numbers 10:29 says: “Now Moses said to Hobab the son of Reuel the Midianite, Moses father-in-law, “we are setting out for the place….” Regarding this verse, it would be proper to put the words “the son of Reuel the Midianite, Moses’ father-in-law” in parenthesis. Apparently, “Hobab” was a common Midianite name, and it was needful to distinguish this particular tribal member from the others sojourning with the nation of Israel. 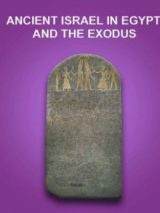 The whole story of Moses and the Exodus is just a myth written in the Babylonian Exile. None of the Pharaohs had been mentioned by name, and David here (10.) mentioned already those 600.000 soldiers Moses recruited… I figured out that the community must have been then more than 4 Mio (old, young, females). This can´t be as Jewish community had not been larger than 100.000. The Sinai mountain is not vulcanic as the “sound” / “trumpets” is clear description of vulcano eruption. All shows that “the Mount Sinai” was much more in the East. There is no proof that Yethro was Abrahams descendant. And what about – if believing on the Moses fairy tale – on the wife Moses had in Ethiopia? Yethro, if ever existed, was just a priest of Midianatic God. Why Hebrews later on destroyed the Medianitic people? The book of the pentaeuch do not fix together and are just written by several authors in and after the Exile. Sorry Paul, but for me the Zohar and most of the other rabbinic writings (excluding Maimonides) are little short of fairy tales. Brilliant though the ancient sages were in memorising the scriptures, I can’t help feeling that too often most of them let their imaginations run away with them. There are cases of them even contradicting scripture and they certainly all contradict each other. We are told that the oral Torah was additional information given by Yahweh to Moses and passed down through the generations until it was put into writing. So where is it? Instead of unequivocal guidance complementing the written Torah, all we are left with is a hotchpotch of fanciful and frequently unbelievable hypotheses. And, dare I say it, Rashi is the biggest culprit. Not to be overly pedantic, but the same text that tells us there were 600,000 Jews at Sinai also tells us how it got that number: by counting males between the ages of 20 and 60. Thus, there were not “600,000 men and women” with Moses. The estimate usually used is three million (including children, though). You can come up with your own. But there were well over 1.5 million. “For when the whole world heard of the might of the Blessed Holy One, they trembled, and all of them looked toward Jethro, who was wise and the ordained chief of all false gods of the world. Once they saw him come and worship the Blessed Holy One, saying ‘Now I know that YHVH is greater than all gods’ (Exodus 18:11), they all withdrew from their idols, realizing that these lacked any substance. Then the Holy Name was glorified on all sides” (The Zohar, by Daniel Matt, vol. 4, p.383). Also in the Zohar (1:93b) that borrows a tradition from the Midrash Aggada on Exodus 4:24, about the bizarre incident in which Yahweh attempts to kill Moses, involves an angel which assumes the form of a serpent “and swallowed up Moses from his head to his covenant [of circumcision, i.e., his phallus]” (The Zohar, vol. 2, p.92, footnote 695). It is in this context that Zipporah brings her son into the covenant with Yahweh and the side of holiness since the serpent was considered to be from the side of unholiness, referred to throughout the Zohar as the “other side.” Moses’ mission was to oppose Pharaoh and his oppressive policies and the first sign given was the defeat of Pharaoh’s magicians whose rods turned into dragons but were devoured by Aaron’s rod. The Pharaoh himself is mentioned in Ezekiel 29:3 as a “mighty dragon sprawling in your channels.” In this view the Pharaoh’s power derives from the crocodile god Sobek with the Nile being its dominion. Historically the name of Yahweh first appears in the records of Amenhotep III and Ramsese II as the “land of Yahweh” inhabited by nomadic tribes of Shasu so this gives you an idea that Yahwehism first appeared among tribes that were beyond the control of Egypt. I focus on Jethro in my book from 2006: Early Jewish and Christian Memories of Moses’ Wives: Exogamist Marriage and Ethnic Identity (Edwin Mellen Press). I say the text contrasts the outsider father-in-law favorably against the insider father-in-law, Laban. The rabbis do not point this out, but I think this is the point of the text. However, the rabbis BLAME Jethro (and Zipporah in some cases) in the midrash of which Wiesel speaks. Moses is also wrong for agreeing to this condition (idolatry–no circumcision for one son), but the Midianites presented this condition. This is why Zipporah knows what to do in Exod 4:24-6. In other words, it’s not a positive portrayal of Jethro in these cases. Yes, I agree that Jethro knew Jehovah, he was a descendant of Abraham through his wife Keturah. A little joke: Jethro had five names, according to tradition. He also had five daughters. Each time he married off a daughter, he changed his name and moved to avoid the bill collectors. In all seriousness, I thought I had heard that Aaron suggested that “Aren’t there enough of us enslaved already?” So Moses sent his family back to Midian. The variant names Jethro and Reuel may perhaps be due to different source documents. The time Moses spent with his father-in-law, after fleeing from Egypt, is said to have been forty years. It is a tradition reflected in Stephen’s speech in the New Testament (Acts 7:23–he was 40 years old when he fled from Egypt; 7:29-30–God appeared to him at Sinai 40 years later). It is true that Exodus 7:7 says that Moses was 80 when he and Aaron spoke to Pharaoh, and Deut 34:7 says that he was 120 when he died. But this neat arrangement of 40 (Egypt) 40 (Midian) 40 (desert)=120 is in part challenged in the book of Exodus. It does not say how old he was when he left Egypt. And when he leaves his father-in-law, along with his wife and children, he puts them on a donkey (Ex 4:20), giving the obvious impression that they were still very young, implying that Moses had not spent many years in Midian. Another interesting fact is that Jethro comes to meet Moses at Sinai bringing him his wife and children. But all we know is that Moses’ wife and children had left Midian with him when he returned to Egypt (Ex 4:18-26). So, how come they were in Midian? Nothing is said about a possible trip when they would have been brought back to Midian apart from the group led by Moses. One can ony wonder: are we here dealing with two different traditions? Reuel was definitely Moses’ father-in-law. Jethro was most likely Moses’ brother-on-law. Hobab was probably Moses’s nephew. The same Hebrew and Greek words can be used for all three relationships through marriage. I feel some credence could be given to David Rohl’s suggestion (The Lost Testament — chapter nine pp 188-189) that Jethro, as a descendant of Abraham, would have been more familiar with the traditions and fireside stories about his lineage than the Hebrew slaves in Egypt. Certainly more so than Moses, the product of an Egyptian court. What was the source of the pre-Abrahamic genealogies in the Genesis scrolls? Jacob and his sons must have passed on this knowledge to their descendants while in captivity, but was it retained and carried out into the wilderness after the first Passover? Or did Moses bring it with him after forty years of listening to Jethro? (Jeth′ro) [from a root meaning “more than enough; overflow”]. Moses’ father-in-law, a Kenite. (Ex 3:1; Jg 1:16) Jethro is also called Reuel. (Nu 10:29) Jethro may have been a title, whereas Reuel was a personal name. However, it was not uncommon for an Arabian chief to have two or even more names, as is attested to by many inscriptions. Jethro is spelled “Jether” in the Masoretic text at Exodus 4:18. Jethro was “the priest of Midian.” Being head of a large family of at least seven daughters and one named son (Ex 2:15, 16; Nu 10:29), and having the responsibility not only to provide for his family materially but also to lead them in worship, he is appropriately called “the priest [or chieftain] of Midian.” This of itself does not necessarily indicate worship of Jehovah God; but Jethro’s ancestors may have had true worship inculcated in them, and some of this perhaps continued in the family. His conduct suggests at least a deep respect for the God of Moses and Israel.—Ex 18:10-12. Jethro’s association with his future son-in-law began shortly after Moses fled from Egypt in 1553 B.C.E. Moses assisted Jethro’s daughters in watering their father’s flocks, and this they reported to their father, who, in turn, extended hospitality to Moses. Moses then took up living in Jethro’s household and eventually married his daughter Zipporah. After some 40 years of caring for Jethro’s flocks in the vicinity of Mount Horeb (Sinai), Moses was summoned by Jehovah back to Egypt, and he returned with his father-in-law’s good wishes.—Ex 2:15-22; 3:1; 4:18; Ac 7:29, 30. Later Jethro received report of Jehovah’s great victory over the Egyptians, and at once he came to Moses at Horeb, bringing along Zipporah and Moses’ two sons; it was indeed a very warm reunion. Jethro responded to Moses’ review of Jehovah’s mighty saving acts by blessing God and confessing: “Now I do know that Jehovah is greater than all the other gods.” He then offered up sacrifices to the true God. (Ex 18:1-12) The next day, Jethro observed Moses listening to the problems of the Israelites “from the morning till the evening.” Perceiving how exhausting this was for both Moses and the people, Jethro suggested a system of delegating authority. ‘Train other capable and worthy men as chiefs over tens, fifties, hundreds, and thousands to decide cases, so that you will hear only what they cannot handle.’ Moses agreed, and later Jethro returned to his own land.—Ex 18:13-27. Jethro’s son Hobab was requested by Moses to be a scout. Apparently with some persuasion, he responded, and some of his people entered the Promised Land with Israel. (Nu 10:29-33) Judges 4:11 calls Hobab the father-in-law of Moses rather than his brother-in-law, and this has caused difficulty in understanding. However, the Hebrew expression normally rendered “father-in-law” can in a broader sense denote any male relative by marriage and so could also be understood as “brother-in-law.” To say that Hobab instead of Jethro was Moses’ father-in-law would disagree with other texts. If Hobab were another name for Jethro, as some suggest, it would also mean that two men, father and son, bore the name Hobab. On the other hand, Hobab, as a leading member of the next generation of Kenites, might be used in this text as a representative of his father.